So I've been keeping watch over the past two years (as many others have..and for longer) for hybrid turbos which retain the sequential operating system and offer significant hp gains. Well Stu Hagen, King of the Sequential twins (not necessarily "stock" sequential twins in this case), has come up with this exact option. Below please find a link to the initial discussion from the dyno section. #49 on pg. 2 is where it gets interesting. One beta tester already has these on. I'll let him come on board with the specifics but basically he is finishing up the plumbing and then he'll be putting them on the dyno. and doing a "how to". I will be doing the same as soon as I get my pair. He also has a manifold which will allow these turbos to really breathe. Inner diameter of the turbo inlet is the same as the ID of the piping. 600+ on race gas should be possible with this setup. Hopefully the guys on the "other" forum will chime in here and help this get rolling also as I've cross-linked the threads . Big thanks to Stu and all the others involved in this project. They add so much to the Supra community. I also took the liberty of editing your original post title so that it might get more attention from those interested. Man if I do another Supra Id be interested in twin GT28's as the T3 flanged hybrids from PTE are capable of 440hp each. Spool is ridiculous too. Selling my 94 Supra TT Singled GT42 PM if interested , considering partial trades. Subscribed. I just purchased a pair of OEM hybrid turbos tested by Stu Hagen and Aaron for my red BPU car. I did not know the possibility of hybrid GT28Rs or I might have held out for those. Be that as it may, other than a change in intake filters from HKS to Blitz, the only change on my car will be the "original" OEM hybrids, so my power gains should be representative of what one can expect with these turbos and no other changes. Of course a good tune will be necessary but I figure most going this route will have that covered. I'm always interested in the stock factory twins look since california has so many smog issues. I contact Stu Hagen and Aaron a while back for a set of twins but never got a respond back from Aaron. Ken pm me if you ever decided to let them twins go, I'll be interested! BTW STU hows your car and thanks for the quick pm. Now..........we can get to specifics! In conjunction to upgraded turbo's, I have also designed a small electronic #1 turbo boost controller that plumbs into the stock EBV VSV location. It basically will control the stock VSV to operate at different adjustable thresholds than how the OEM ECU controls it now. No extra hose routings required. It can adjust the boost levels from 10 -18 psi. Hopefully I will have these available at Speedforsale in a month or so. Just need testing. Last edited by Stu Hagen; 07-16-2007 at 11:06 AM. would a hybrid set up like this be able to pass smog ? Ken, I knew of these, but at that time, we werent ready to announce them. I anticipated them available later this year at the earliest. Then out of nowhere, the original purchaser of the very first set from over a year ago just surfaced "hammerhead" We did not think he was ever going to show with these installed (lol-) No offense to him what so ever. I am glad he is here now ready to chime in and provide valuable info. He may provide the manifold pics here as well. kou xiong -- I am sorry that Aaron has not got back to you. He gets QUITE busy, and he has his own cars to deal with as well. Hopefully you will hear from him, I am sure he has not forgot about you. No biggie, my friend. I think I made the smart choice for my particular circumstances. Besides, I'm sure that polished piping you sold me is good for another 10 whp or so! If I get another 1-2 years of solid BPU status from these, I will be more than happy. Thanks for all your help and for all the work you have done on behalf of the community with these hybrids. Pretty amazing stuff, I tell ya. With the significant gains in area under the curve on your red car and the positive results from so many I bet it will complement these quite nicely! Do you mind if I post pictures of my turbos that I sent you wayyyyyy back? I'd like you to compare them to what you have, I believe they are also 28r hybrids, but since I bought them 2nd hand from Japan, I'm not sure. Over the last 4 years, there has been a lot of talk about hybrids. Few have every came up with anything concrete. Europe and Australia have made more advancements in this area than the US. There are a couple of people in this forum who have done this. Krister being one. Following his thread for over a year was really interesting. It ended up more of a disappointment than anything else. After spending WAY more than there value, and producing much less HP than expected, it finally died away. The saddest part was after he removed these and sold them off to another Supra owner, his car got stolen, along with the hybrids. Subscribed, I would be very happy if I could hit 475whp through an auto with these! I really want to keep the sleeper thing going. So if we go with these some form of engine management would be necessary correct? MAP ECU, VPC? Couldn't agree more. The V Pro will be like frosting on the cake and, I'm tellin' ya, you will be thrilled about the area under the curve each and every time you drive the car. boost dr, I'd be thrilled with 475 whp though a 6MT. I made 415 [email protected] psi with my current turbos, so I don't have the "ringer" version turbos that other BPU cars have shown with their 440-460 whp power ratings. I'd really like a nice 500 whp, but I don't think that's in the cards for me without cams and a "devil's in the details" program like Stu's. 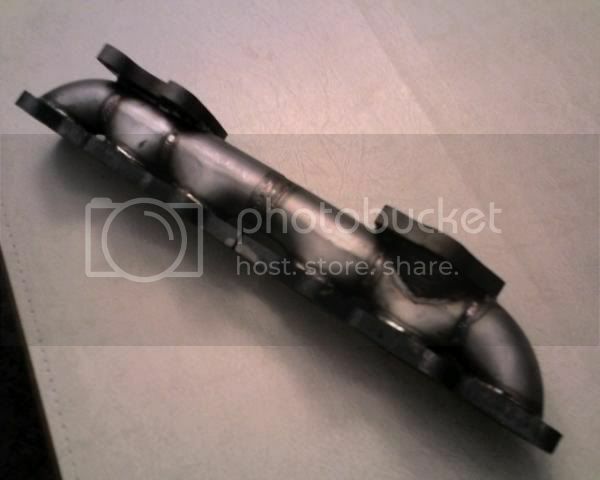 Below are pics of the manifold described above. As said in earlier threads, talk of these almost always gets the thread locked. When Bryan Spoke of them he got banned. So without having hard evidence, I kept my mouth shut. I initially planned on putting these on when I first recieved them, But change of jobs/location etc. Forced me to wait. As well as the new manifold production. Everyone I turned to, wanted nothing to do with it. Luckily I found someone who was, and they did a great job. If I had more time, Id send it to China to have a Cast copy made. Sorry For the long wait guys. Since I am not a fabricator myself, I had a hard time making the Lines look As stock as possible. But they look very good and hide themselves nicely under the heatshield. Nice development. In terms of plumping around the turbos (manifold, turbo collectors), what's the major restrictions and how much hp can they support? Too bad there are no good upgrades for the JDM CT20 as they have larger shafts. But then, the turbine would need to be replaced on those as well. Weight is also a huge factor to me which makes single options more tempting. Last edited by TeCKis300; 07-16-2007 at 09:38 AM. we have a very good contact to get castings made and machined in China ...this is quality stuff not crap like I've seen from some sources. We have several cast stainless steel valve parts that we sell and after loosing some domestic sources due to shutdowns, foundry fires, lack of interest due to our low to marginal quantities, we went with these guys and the quality of both the castings and machined pieces has been excellent ...and extremely reasonable by my estimation. 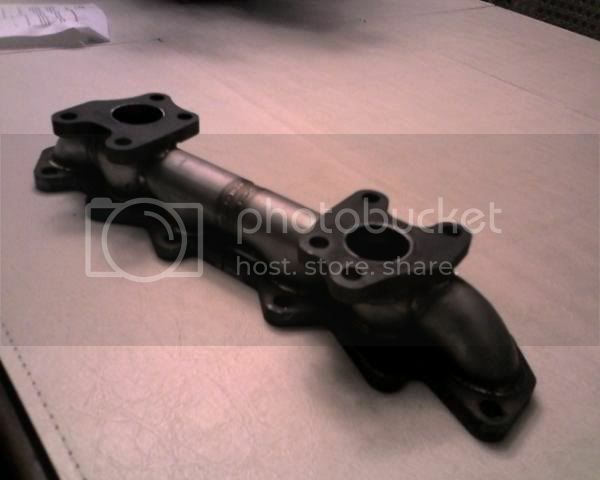 I estimate that the casting tooling for a manifold like this would be in the $2000 to $2500 range and that tooling would last many years and even thousands of sets, more than is likely in the product life. Machining seems simple with just facing the flanges properly and maybe drill/ream the bolt holes. Anyway, if you're interested in pursuing this drop me a PM and if you already have drawings for the fabricated manifold, we can make casting drawings from that. 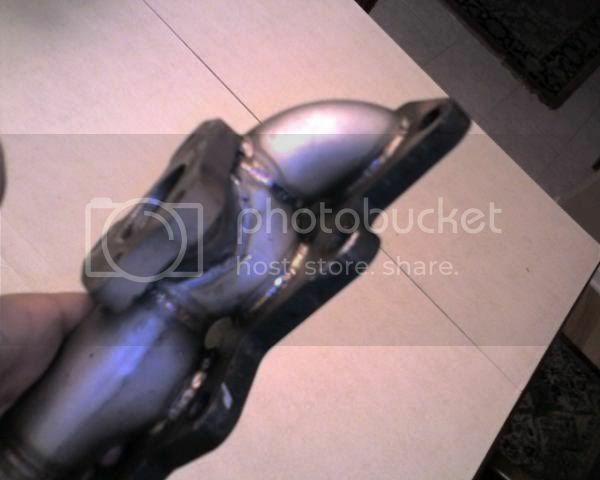 Maybe somebody here might even have brilliant ideas on optimizing this casting, such as angling the ports to match the head port angles (which as you know are not straight shots out) or adding brackets for other stuff ...this kind of thing would barely add cost, if any at all. Sounds like a great idea if we get enough of a $$ push behind it. I'll help if this ends up seeming like a really good option in the final analysis. I would like an extended through the firewall honest to god cast cup holder on mine, ok? But seriously any flow junkies want to speak to this....see if we can optimize some things. Last edited by bonz; 07-16-2007 at 11:10 AM. Interesting. I like the sequential setup myself. This would be a good upgrade if I go that route. Currently I am BPU running 20PSI max on the auto trans. Manny Alves ring a bell? Seriously! I have seen about an infinite number of responses from this guy which were no mroe than 2 words that made no sense to the context of the thread. If that is him I kindly ask a mod. to get him out of what may soon be a very good thread. Thanks. I would bet my mortage it's him. Same MO. Lots of one and two-word posts, 20 or more coming one right after the other fairly late in the evening, all in an effort to get to 200 posts ASAP so he can begin scamming anew. There's a new thread on him in the Buyer/Seller subforum started by Ranger but he (Ranger) is not moving fast enough, IMO. Okay, I'll stay on topic, now.